Removes without irritating the skin, any form of impurities, leaving hair in optimal cosmetic and hygiene conditions, making it shiny and soft. Formulated for normal hair and frequent washing. 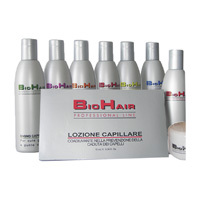 Its components cleanse with the utmost gentleness, leaving your hair shiny and soft. 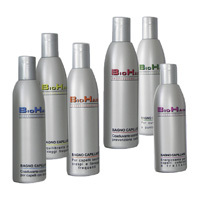 Completion ideal for colored hair or after any heat treatment (permanent discoloration, color). acidic pH. Balancing hair bath formulated for normal hair and frequent washing. Cleans with the utmost gentleness, leaving your hair shiny and soft. Hair is soft, docile and easy to comb. The presence of protein hydrolyzate enhances the protective action against external agents of chemical and physical nature. The plant extracts exert a eutrophic on the skin leaving hair in optimal cosmetic and hygienic conditions.